We only use quality hand made traditional wedding albums.The traditional albums in our wedding packages are the premier range. 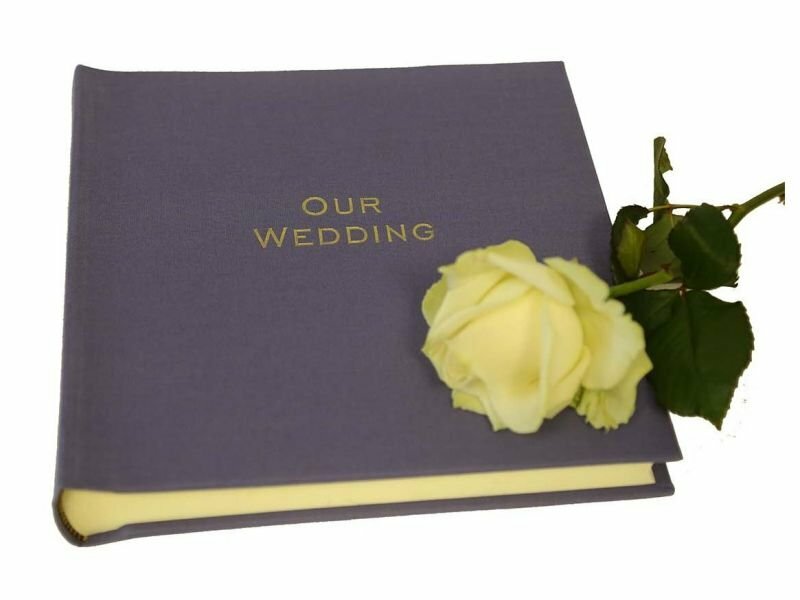 We can supply different wedding albums on request contact us for details. If you choose a different album then we will adjust the wedding package accordingly. We also offer guest books prices as per the suppliers rates plus postage. We have been using Heritage Albums since we started as they supply quality wedding albums and they are one of the best album makers in the UK. The wedding albums we use are manufactured in the textile mills in the North of England. Each album is supplied with a ribbon tie and a storage box. SAMPLES OF THE FABRICS ARE AVAILABLE A range of matching Guest Books are also available for the guests to write a message at the wedding reception. The Premier Wedding Collection albums are traditional style albums with acid free cream pages and glassine interleaves. Each Wedding album contains a page for details of the Wedding Day and the photographs are mounted onto the pages using to Pages and find your Store page, then click edit.